I invented a new cupcake – a totally new one, I think, that no-one has ever done before. I present to you the Clover Club cupcake. A clover club is a delicious cocktail first given to me by an amazingly lovely woman called Kat. It is made with gin, raspberries, lemon and egg white and tastes like summer, alcoholic summer. 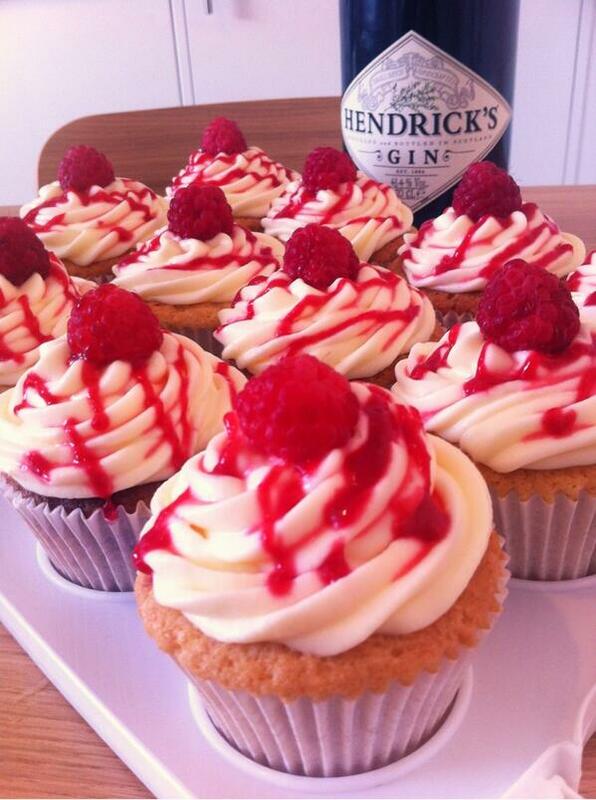 So for Kat’s housewarming I thought Clover Club cupcakes needed to be a thing. I made a raspberry sponge and then put a gin and lemon drizzle on top, with lemon cream cheese icing and a very alcoholic raspberry and gin coulis. Preheat the oven to 175˚C/gas 4. Start with the icing, beat butter until creamy and then add the cream cheese straight from the fridge and mix in the bowl until smooth.Add in icing sugar, lemon juice and gin and beat until smooth. Do not over beat because cream cheese icing can split. Put it back in the fridge to chill until a bit set. For the cupcakes, cream butter, sugar in a bowl. Whisk in beaten eggs on by one mixing thoroughly after each addition, sift in flour and fold it in carefully until just combined. Spoon batter into muffin cases in a muffin tray. 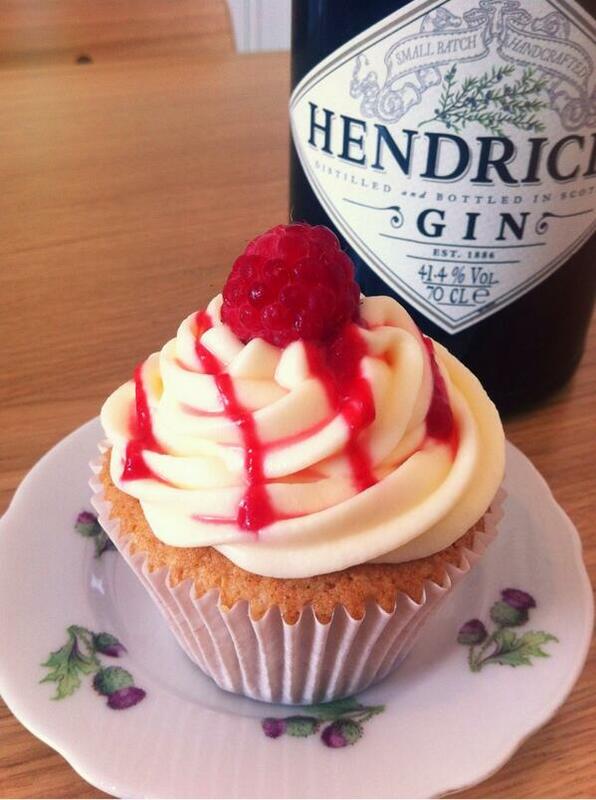 Drop 3 raspberries into each cupcake. Bake for 15 minutes, until golden brown. For the coulis, put the raspberries, sugar, water and gin in a small pan over a low head. Cook until the raspberries breakdown and it is nice and thick. Strain the coulis through a sieve to remove the seeds. I then added more gin and reduced it again, for funs. Once the baked cupcakes have cooled for 10 minutes, spoon sugar syrup while over the top while they are still slightly warm and allow to cool totally. Pipe the icing onto each cupcake. Put the coulis into a plastic bag and remove the very corner and drizzle over the top. Finish with a raspberry. I also made some more gin and tonic ones for the party – the recipe for those is a few blog posts back. Coming soon – I spent the a couple of days in Amsterdam so I have speculoos paste and biscuits and stroopwafels to turn into cupcakes.